The most wonderful red sandstone structure constructed to commemorate the Mughal Emperor Humayun. The tomb was one of the best-preserved monuments of Mughal dynasty. The marvelous mausoleum was the first example of Mughal architectural style in India. 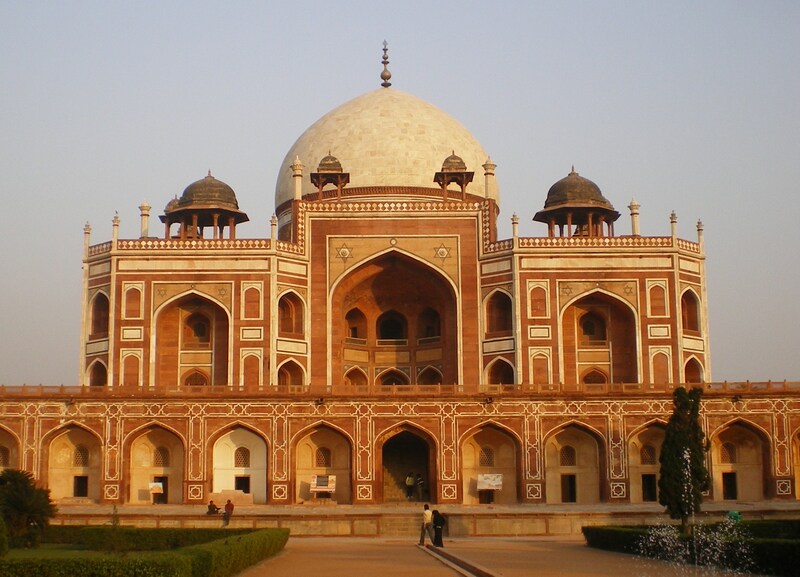 Tomb of Humayun is one of the major attractions of Delhi and it is also a part of Golden Triangle Tour which is the most popular tour of the country. The tour is widely famous among the first timers in India as it offers a chance to unveil the rich Indian beauty in respect of its architectures, cultures, traditions, etc. The triangle journey starts from Delhi and further covers Agra and Jaipur. In Delhi, the tomb draws major attention of tourists who explore the triangle route of India. Mughal warrior Humayun died in 1556 and was buried in his palace at Delhi. He was again reburied in Sirhind, Punjab in order to secure him from the most possible damages caused by Hindu King Hemu, who had defeated the Mughal in Delhi and Agra in 1556. After nine years in 1565 after the death of Humayun, his Mughal Empress and chief consort Bega Begum decided to construct the most beautiful tomb in the memory of his deceased husband Humayun. The construction was continued till 7 years and was finished in 1572. The monument started dwindling since after the completion of its construction. Mughal capital was moved to Agra and the dynasty started losing its emperors which cause a bad impact on the importance of the monument. To maintain its importance and popularity, various constructions were laid in the monument and surrounded by the garden. The monument was restored with a beautiful garden, fountains, etc. Mosque and tomb of Isa Khan – crossing the several pathways leading up to the tomb of Isa Khan, an Afghan noble in Sher Shah Suri’s court of Suri dynasty. Tomb and garden of Bu Halima – while entering to the complex from the west, visitor’s first enters a garden complex of Bu Halima. Mosque and tomb of Afsarwala – standing on the southeast complex lies the Afsarwala tomb belonging to a nobleman of Akbar’s court. Nila Gumbad – located outside the boundary of the complex is the tomb called Nila Burj or Blue dome. Arab Sarai – the rest house for the horses, the structure stands adjacent to the Afsarwala mosque and was built by Bega Begum. Chillah Nizamuddin Aulia – supposed to be the residence of Nizamuddin Aulia, the patron saint of Delhi. It is situated just outside the main complex. Tomb of Barber – located on the south-east corner inside the Char Bagh, the tomb is known as the Nai-ka-Gumbad or Barber’s tomb which belongs to the royal barber. 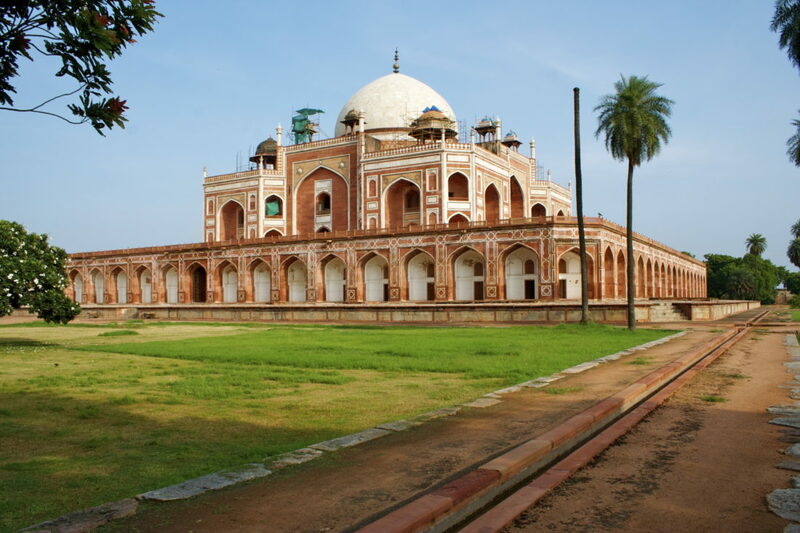 The dead body of Humayun was buried in two different locations before it is transferred to the Humayun’s Tomb. 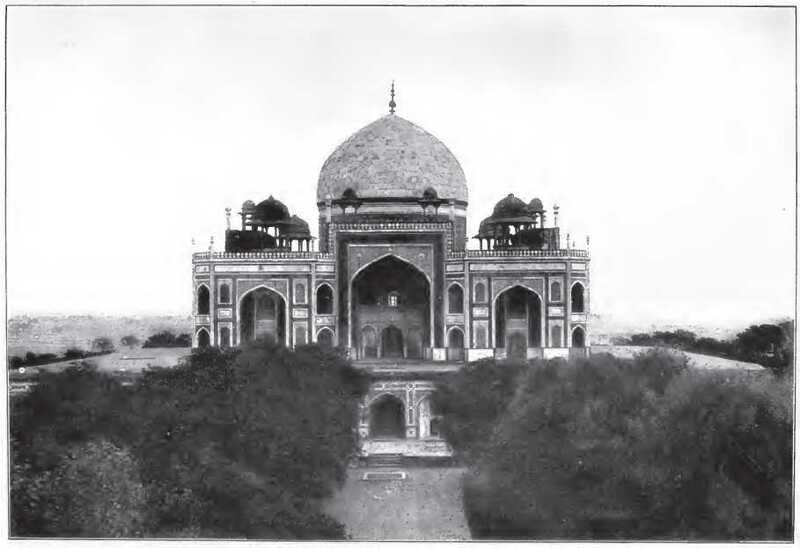 Tomb of Humayun’s structure was the model for Taj Mahal construction. The mausoleum is a perfect blend of Persian and Indian traditions. The internal decorations of the tomb have not yet survived until today. There are about 150 graves in Humayun’s tomb along with the beautiful garden area. Fine square tomb on the south-east side of Humayun’s tomb is known as the Barber’s tomb. Easy access to public transport is available to reach the Humayun’s tomb. You can either choose rickshaw ride or metro from the central station of New Delhi to Nizamuddin East station. From there you will need to walk more than 500 meters to reach the tomb. Please note – Children’s up to 15 years are free to enter. Unveil the magnificent beauty of the Humayun Tomb and discover the glorious history associated with its structure. You can even choose to visit the tomb in Delhi Agra Jaipur tour and get a chance to explore the other major attractions of triangle cities that is Delhi, Agra, and Jaipur.